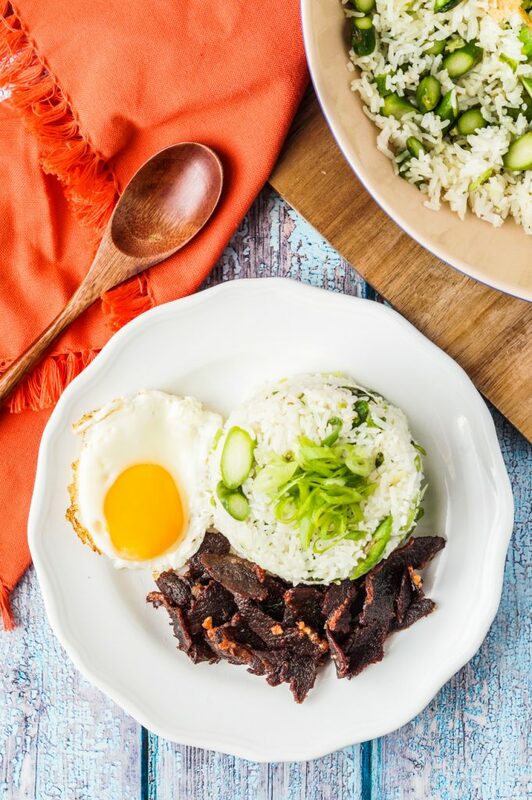 Have leftover rice from dinner last night? 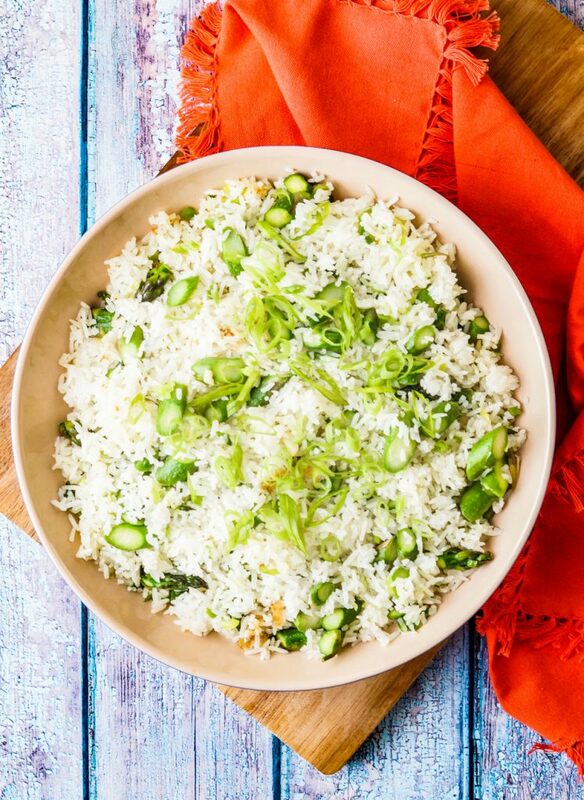 Make this Asparagus Fried Rice with Jasmine rice, crushed garlic, sliced asparagus, and green onions for a perfect #BrunchWeek dish. Disclosure: This post is sponsored in conjunction with #BrunchWeek. I received product samples from sponsor companies to aid in the creation of the #Brunchweek recipes. All opinions are mine alone. I made this Asparagus Fried Rice in the Filipino Sinangag-style with plenty of crushed garlic and paired it with sliced asparagus and green onions for a light, springtime breakfast. I didn’t have any available for this latest batch, but I love using thin and tender asparagus spears so the pieces don’t overpower the small grains of rice. Add a splash or two of soy sauce if desired, but I particularly enjoy the simplicity of purely garlic, salt, pepper, and toasted rice to help the flavors of the vegetables shine through. This dish is best with day-old refrigerated Jasmine rice. Crumble the rice as you add it to the wok, then use a spoon or spatula to break up the larger pieces. The rice will separate more easily as it heats. Keep the pan hot and stir constantly to keep the rice from sticking to the bottom. 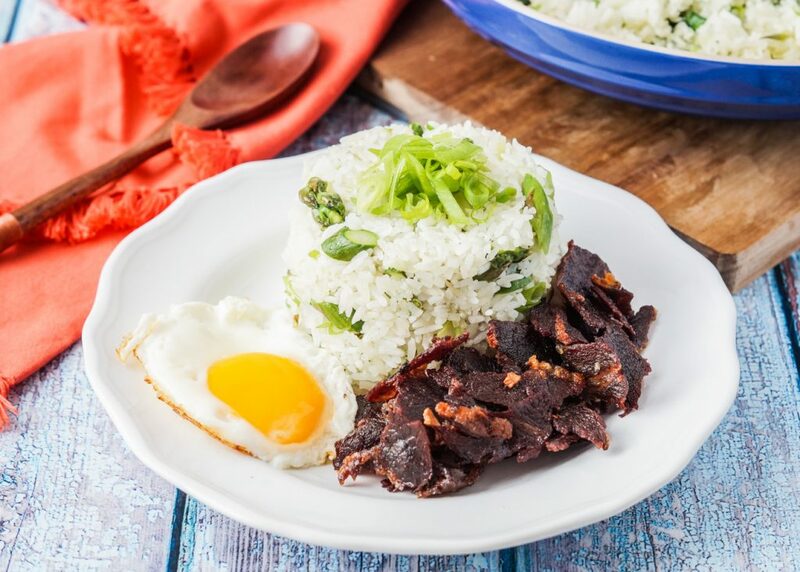 I served the Asparagus Fried Rice with Tapa (Filipino Dried Cured Beef) and an Eggland’s Best fried egg to make a favorite breakfast dish- Tapsilog (tap for tapa, si for sinangag, and log for itlog/egg). 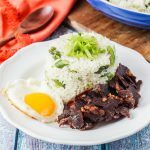 You can also pair the rice with longganisa to make Longsilog, tocino for Tocilog, sisig for Sisilog, or even spam for Spamsilog. 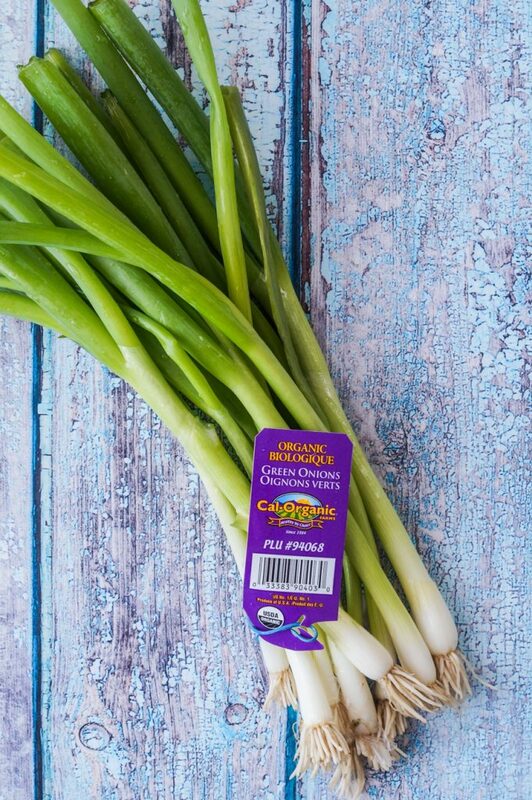 The green onions and asparagus in this Asparagus Fried Rice come from Cal-Organic Farms and Michigan Asparagus. Check out Monday’s Cà Phê Trứng (Vietnamese Egg Coffee) post for a great #BrunchWeek Giveaway with items from these brands and more! In a large wok, drizzle oil over medium high heat. Add the garlic when starting to become hot, but not fully heated. Cook until golden, then add the green onions and asparagus. Cook, stirring often, until the asparagus is bright green and tender. Crumble in the cooked jasmine rice, using a spoon to break up the larger pieces. Cook, stirring constantly, until heated through and thoroughly combined with the vegetables, about 5 minutes. Sounds tasty, and I love the look of the meat you have on the side too. I’m pretty excited about this recipe – I never would have thought to make it, but now it’s going to become one of our go-to side dishes! I often make extra, when steaming rice, just so I have it for fried rice later in the week. Love that you added asparagus to this version. I had Korean friends who made something similar for breakfast. So delicious!